From: ebook received from the Author, Thank You! Synopsis: When Natalie Spencer loses both her career and marriage in the same morning, the emotional shock sends her on a spontaneous journey to England. There, she is nearly mugged in a Tube station, but an introverted songwriter named Gavin Ashby scares off her attackers. Recognizing Natalie’s fragile state, Gavin offers help and invites her to recuperate from her trauma at his country home. As she adjusts to her new role and surroundings, Natalie finds healing by helping others. Gavin and his family begin to accept Natalie into their hearts, leading her to a choice…abandon her old life in the States and trust in a new chance at love, or flee once again? Review: 4 Stars - Four Thousand Miles tells the story of one woman’s bad day turned worse. 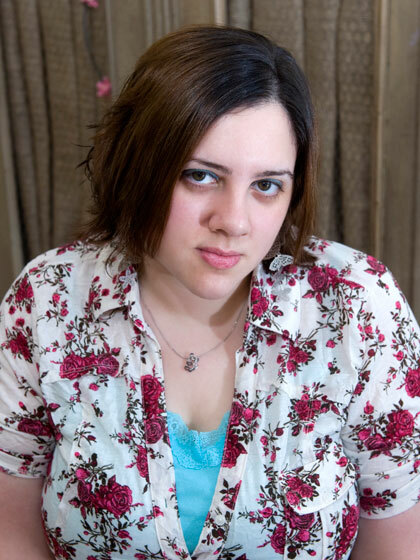 Author Jesi Lea Ryan has written a fantastic story and realistic characters you will become attached to and root for. 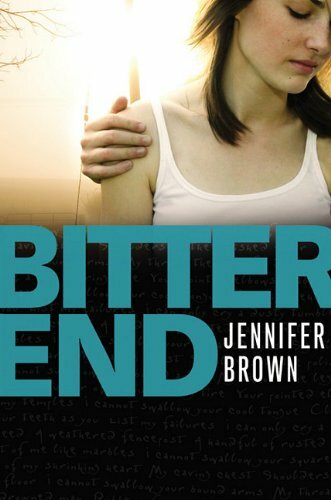 After a series of events happen in heroine Natalie’s life the last thing she thinks she’ll do, she does. Hoping on a plane to London with nothing to her name but her purse she’s doing the only thing she can think to do and that’s to get as far away from her life as possible. Once there she has no idea what comes next, so she walks her way from one end of the busy UK city to the other. After such a daunting day and suffering jet lag she’s off to find a place to sleep and try to begin healing her wounds. Running into some trouble she’s rescued by Gavin who takes her in and becomes a friend. Gavin is a quiet guy but an extreme gentleman. He’s one of those good guys that every girl hopes to find and Natalie is lucky to have found him. Each character has some baggage – Natalie’s a little fresher than Gavin’s. After quickly becoming friends Gavin suggest she continue her stay in England and offers a room at his families’ farm. She agrees and soon they are off to the country, and the home he shares with his sister and niece. I really enjoyed both the lead and side characters. Natalie has that strength that I always love and Gavin is that great guy who doesn’t push and lets a girl deal with things in her own time. I know most of us go for the bad boy, but he’s a one of those great guys that give the good guys their name. I loved that it was set in England and if I’m honest that’s the first thing that sold me on reading this title and I’m glad that I did. The setting turned out to be the added bonus. The characters of Natalie and Gavin felt fresh to me and like real people with real problems and issues. Jesi Lea Ryan takes the reader through the many ups and downs in the lives of two people who are scared to fight for what they want in the aftermath of being hurt. 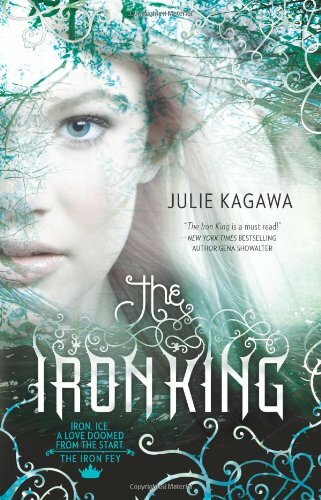 I would highly suggest this to anyone who loves a great story with likable characters and touches of romance. Enjoy! 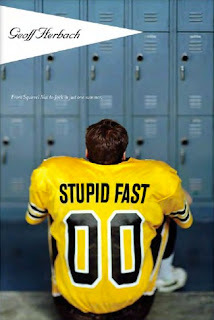 Synopsis: Fifteen-year-old Felton Reinstein has always been on the smallish side, but in his sophomore year he starts growing...and growing. First off - the Sequel to The Ghost and the Goth = a MUST read! Yep, a MUST! Plus the covers are SUPER cute! Stupid Fast sound interesting and different. Both of those are great things when it comes to a book! Who else is looking forward to either OR both of these titles. 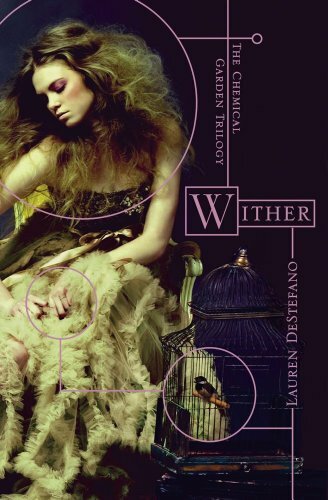 Review: 4 Stars - In a world far removed from our own - Wither by Lauren DeStefano takes being young and old to a whole new level in this shocking and surprising Dystopian. 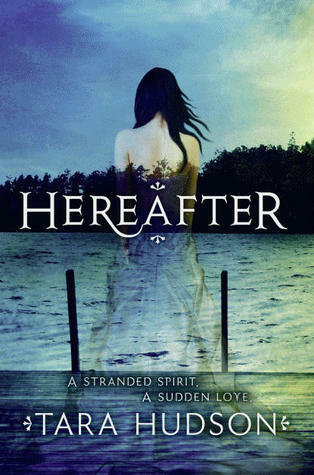 DeStefano’s writing flows right off the pages creating a world and its future that’s easy to imagine; putting the reader right in the middle of such an emotionally charged tragic tale. Wither, the first in a trilogy tells the story of a teen girl, Rhine. She’s 16 years old and is facing knowing what her future holds. Females die at 20, males die at 25. Something happened in their past that their parents are working hard to correct – a virus that threatens to wipe out all humans. Rhine is one of those strong characters with a huge heart that goes about things always thinking about others. She’s fighting for not only herself but those around her who she finds in the same trouble she is. It’s her strength and how she cares that got to me. Early on in the book it comes through, shining a light on the darker times within the book and makes it easy to feel for her and the uphill battle she’s facing. The creep factor of one character – Housemaster Vaughn - was spot on casting a shadow over Rhines story. I could feel him lurking even when he wasn’t there. I just knew he was never far away, making me cringe as to what he had planned next for everyone. Linden, Housemaster Vaughn’s son was also a bit creepy in his own ways. I was frustrated and have to say that many of his choices had me ready to pull my hair out. I felt so many ups and downs while trying to come to terms with just who Linden was. I think his grief was part of what made him who he was but ultimately it was his father – Vaughn - who molded him and kept him so under thumb it left little wiggle room for the 20 year old. Another character who is more than worth mentioning is Gabriel, and how he added sweetness to the story and helped to open Rhine up. He’s one of those characters that gave Rhine a more rounded personality making her real. I don’t want to give anything away, so I’ll just leave it at that. DeStefano’s writing, characters and world building make Wither a must read for anyone who loves a good Dystopian or anyone who’s looking to give a book in this ever growing genre a try. I can honestly say that it was first the writing to draw me in followed by Rhine to make this a fantastic read. I also have to mention the cover which is one of my favorites I’ve seen in awhile. The cover, along with the story will stick with you, leaving you ready for the second in the trilogy. Who’s ready for book two? Enjoy! A HUGE congrats to each of you. Thanks to everyone who's entered each of the giveaways. The winners have been emailed and have 48 hours to respond. 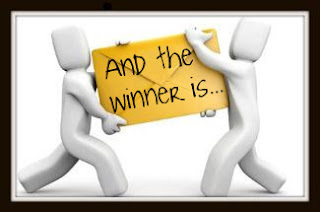 If you haven't received an email from me, please check your spam folders OR feel free to email and claim your prize! If I don't hear from any of the winners, I'll pick others to replace them. If you have any questions, please feel free to email. I have to say I'm so sorry that this took me this long to pick, announce and contact the winners. Things are still a little slow around here as I play catch up. I hope each of you understand. :) It'll take me a few weeks to get things back to running as much like clockwork as they ever have, but I'm working on it. Q: Your novel combines genetic engineering, polygamy, and super-low life-expectancies to create an awesome storyline. How did the idea come to you? A: I may never know exactly where it came from. This story is the culmination of many strange factors. I was bedridden with the flu, for starters, and I was getting frustrated with an adult writing project I had going. My agent suggested that I try something out of my comfort zone, something that I would normally never write, and she also linked me to a site that was taking short story submissions. I began Wither with the intention of making it a short story, and I had no idea where it would take me. Page one began with a girl in a dark place; she didn’t know where she was going, and she was scared. That girl turned out to be my protagonist, Rhine, and at the time she knew about as much of her story as I did. Q: Describe your debut novel, Wither, in three words. Q: If you could pair Rhine, Linden and Gabriel with any character from any book, who would your pick for each be? A: I probably wouldn’t do that. It’s hard to imagine the characters in this world entering another world. But for Rhine, I would say that being paired up is the last thing she’d want. She’s a strong-willed girl who values freedom above all else; love is not something she’s ever thought to look for. 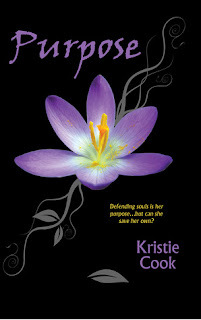 Q: Can you tell us why you chose the title Wither, and how it correlates with your Rhine’s story? A: It was a title that the publisher and I generated from a long list, after the story had been through copyediting. It can be interpreted any number of ways, but for me it describes what’s happening not only to my characters, but to everything around them. 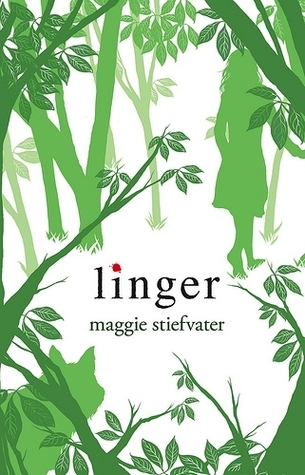 Flowers, trees, crumbling buildings—it’s a world where everything is slowly dying. Q: How long did it take you to write Wither? A: The first draft took about a month, which isn’t typical for me. I have some unpublished stories that have taken years to complete. 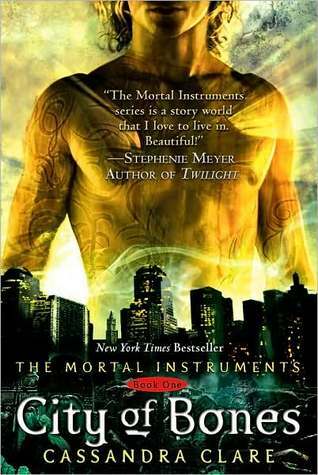 Q: What can we expect from future books in this series? A: For some big questions to be answered, and for some bigger questions to arise. Q: I know that Justin Bieber and Paris Hilton were huge inspirations for Wither, but is there anything else? A song, another book, a place? A: Just to dispel this up front: No pop singers or celebutantes inspired this story. But while I was going through some old books from my childhood last week, I found a copy of The Girl Who Owned a City by O. T. Nelson, which was about a mysterious virus that killed everyone over the age of 12. I was probably nine or ten when I read it, and I’m sure that planted a very early seed. I’m also fascinated by stories on the news about eradicating cancer genes or genetically modified foods, and loved the movie Gattaca. Somewhere in my brain is a spinning wheel that processes all of my life’s experiences and makes them into story ideas. Q: Is there any certain person who instilled the passion for reading and writing in you? A family member or a teacher maybe? A: I’ve been writing for as long as I can remember. It’s something I’ve always enjoyed, and when I was young I didn’t give much thought to why I loved it, nor did I share it with anyone. I saw it as a private thing, like keeping a diary, except all the entries were fictitious. In fifth grade I was assigned to write a short story for school, and I remember my teacher pulling me aside and asking if I had ever considered writing books when I grew up. Before that moment, publication had never occurred to me, but as I got older I began to take the idea more seriously. Q: Were you inspired by other dystopian stories, such as The Handmaiden's Tale? 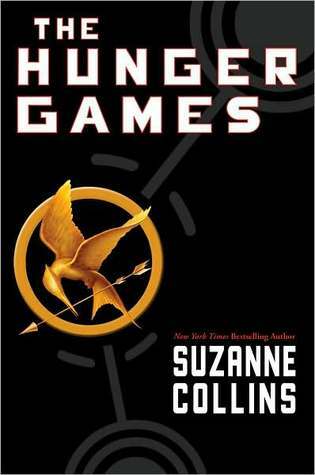 What other dystopian would you recommend we read? A: I have seen a lot of comparisons between my story and The Handmaid’s Tale which frankly surprises me. I am a huge admirer of Margaret Atwood and would absolutely recommend her dystopian, but I think her story and mine focus on different topics and paint different worlds. As far as recommending dystopians, it would really depend on what the reader is looking for. The beauty of dystopian fiction is that it breaks the boundaries we’re used to; it makes us uncomfortable, and it makes us see our own world in a new light, and so I would only recommend, whatever dystopian each reader chooses, that it’s met with an open mind. Q: What are some of your favorite books that have had the biggest influence on your writing? A: I’m not sure that other books are any more or less influential as anything else that might inspire me, such as a conversation or a crime documentary—I never really know what will trigger something. I once wrote an entire scene because of a shape I saw in a puddle. This interview is provided by Simon & Schuster Children’s Publishing and can be reprinted for publication either in full or excerpted as individual questions and answers, as long as they are reprinted in their entirety. Synopsis: A fallen angel haunted by her past. Yearning for her immortal beloved. Forever searching for answers. Who will show her Mercy? 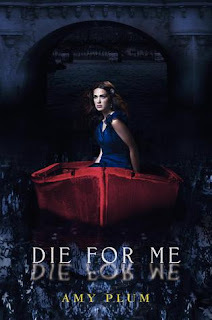 Synopsis: DIE FOR ME is the first of three books about Kate, a sixteen-year-old American who moves to Paris after the death of her parents. She finds herself falling for Vincent, who she discovers is not the typical French teenager he appears: he is something else entirely. ETA: I am aware that this cover changed. Thanks to those who mentioned this in comments. :) This post was scheduled ahead of my surgery, so I haven't had a chance to change it. I figured I'd add a quick pic showing the new cover here! 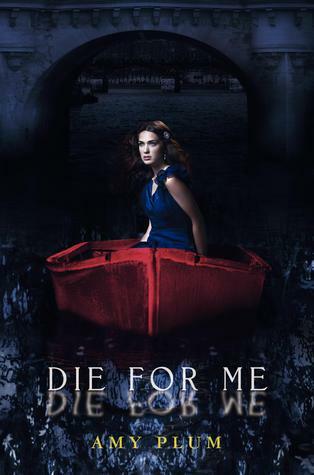 Check out the new cover for Die For Me - What do you guys think of the cover change for this title?? Three more MUST read books for 2011! They not only sound amazing, but take a look at those covers... WOW! 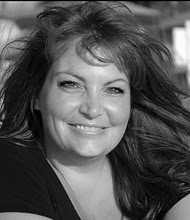 Author Event: THE HUGE Through Her Eyes Giveaway from Jennifer Archer! Enter the Jennifer Archer's Through Her Eyes GARGANTUAN GIVEAWAY to Win a Kindle & Other Great Prizes!!!!! To enter - Pre-order THROUGH HER EYES by Jennifer Archer between March 1, 2011 and April 4, 2011 and as her THANKS to you, she'll enter your name into her GARGANTUAN GIVEAWAY!! 5th & 6th names drawn win a bound leather journal, like the one Tansy finds in the cellar in THROUGH HER EYES. 3. Along with your confirmation email, send Jennifer your address so she’ll know where to mail your prize if you win! 4. Tweet, Facebook, blog or simply call a friend about the THROUGH HER EYES Gargantuan Giveaway! In your confirmation email to her, explain how you spread the news about the Giveaway, and because she's such a trusting person, she'll take your word for it! All steps must be made and information sent to thegargantuangiveaway@yahoo.com by midnight (Central Standard Time) on 4/4/2011 to qualify! Winners will be announced on Jennifers website http://www.jenniferarcher.net/ and on her blog http://www.jenniferarcher.blogspot.comafter/ April 6, 2011. Good luck!! *Contest entrants will be added to Jennifers mailing list & receive occasional updates about her future book releases and new contests. *If you can't fulfill any of the steps & would still like to enter, explain in an email to Jennifer and she'll add your name into the drawing! What's the Indie Authors Relief Fund? 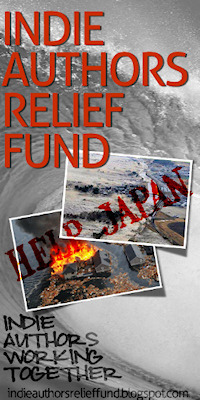 Well, it's a group of Indie authors who have come together - with a bunch of other authors and people who have generously donated some pretty amazing items - to auction for Japan! I wish I could have brought this to you sooner, BUT... there's still some great stuff up for grabs! 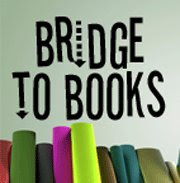 Be sure to follow this link HERE and see just what a great thing these authors are doing. Hey everyone! It's been awhile since I've checked in and I wanted to do a quick post to let everyone know that my surgery went well. There was one slight problem that happened and I wont get into, but yeah... it happened and it sucked. Thankfully I'm well on the road to recovery! YAY! It's been three weeks since my surgery and while I feel pretty much right back to my old self, I'm still a bit sore here and there. That'll take a little bit of time yet, but the worst is far behind me. I have some HUGE thank yous to send out to so many of you. From everyone who sent well wishes, guest posts, cards and care packages, each of you are not only the best but if you ever need help with something that I can do from afar, please just ask. It was through all of you - friends, bloggers - some I know and some strangers that helped me so much through this stressful time, I don't think I could have gotten through it all without you. So Thank You again for making my recovery much easier on me. Since I've been away... this HUGE giveaway has ended. I have been in touch with two of the other girls who let me know that they were working on adding up entries - which there were A TON!! I'm sorry that this has taken longer to pick the winner and announce, however with me and with the blogger who's ordering the Kindle - life has gotten in the way. I believe we will be choosing the winner soon, so keep an eye out for the announcement post. Again, I'm so sorry for the delay. I hope everyone understands. If you have any questions about this, please feel free to email. It'll take me a few weeks or so to get caught up, but I'm back... or partially back and will be working a little bit here and there to catch up. Synopsis: When Alex falls for the charming new boy at school, Cole, a handsome, funny, sports star who adores her, she can't believe she's finally found her soul mate-someone who truly understands her and loves her for who she really is. At first, Alex is blissfully happy. Sure, Cole seems a little jealous of her relationship with her best friends, Zack and Bethany, but what guy would want his girlfriend spending all of her time with another boy? But as the months pass, Alex can no longer ignore Cole's small put-downs, pinches, or increasingly violent threats. As Alex struggles to come to terms with the sweet boyfriend she fell in love with and the boyfriend whose "love" she no longer recognizes, she is forced to choose - between her "true love" and herself. Synopsis: For as long as Esmerine can remember, she has longed to join her older sister, Dosinia, as a siren--the highest calling a mermaid can have. Then Dosinia runs away to the mainland, and Esmerine is sent to retrieve her. Using magic to transform her tail into legs, she makes her way unsteadily to the capital city. There she comes upon a friend she hasn't seen since childhood--a dashing young man named Alandare, who belongs to a winged race of people. As Esmerine and Alandare band together to search for Dosinia, they rekindle a friendship . . . and ignite the emotions for a love so great it cannot be bound by sea, land, or air. I think I've started something with posting two books in my WoW's that are so different from each other, I might as well continue it again in this one. Bitter End sounds more than emotional. I have a feeling that these will be one of those books where you wont be able to put it down. 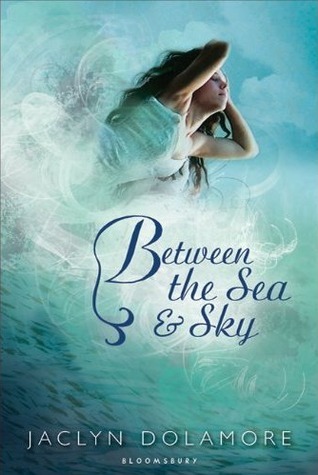 Between the Sea and the Sky... another I don't think I'd be able to put down. Mermaids and a Winged race of people... I can't wait!! Exciting news from C.C. Hunter and Macmillan! Synopsis: Independent and strong-willed Della Tsang hadn't believed in ghosts until she saw her dead cousin darting into the shadows of an alley. 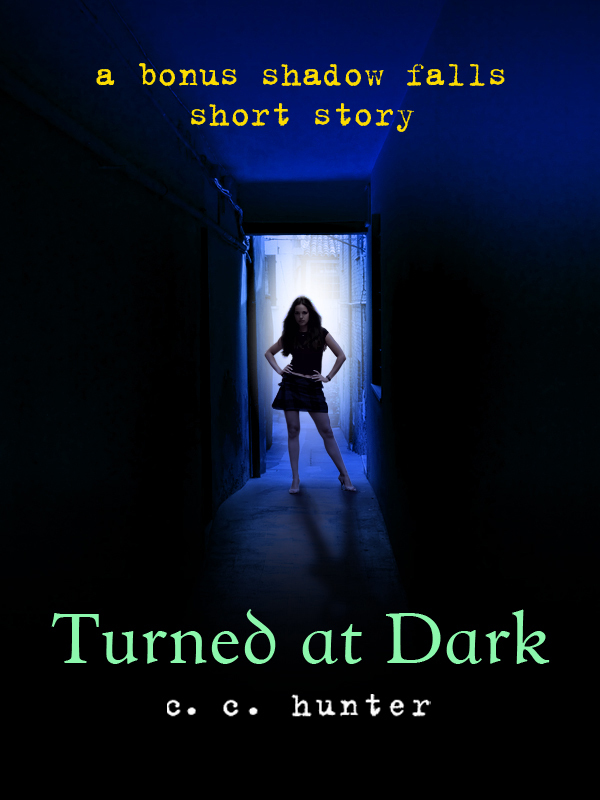 She hadn't believed in vampires until in the dark of that same night she is turned into one. 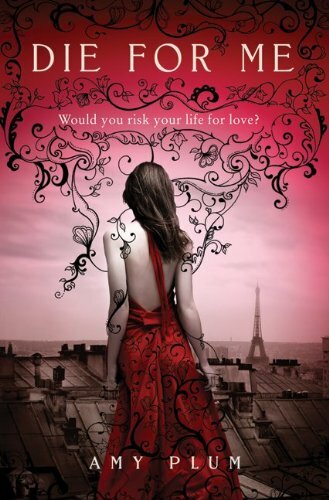 Should she follow her vampire cousin's lead--walk away from everything she's knows and loves--and fake her own death? Or should she set her pride aside and ask for help from the camp leader of Shadow Falls—a camp where supernaturals go to learn to cope. Either way, her life as she knows it, will never be the same. Also, don't forget to sign up for the Words N Stuff news letter for exciting announcements and giveaways! I'm really looking forward to reading this Prequel, anyone else excited about it? 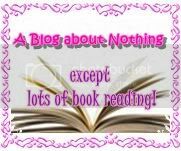 Guest Post: Cynthia from A Blog About Nothing & Cari from Cari's Book Blog! Let me introduce you to my real life friend Cynthia from A Blog About Nothing or as I like to call it A blog about boys and books! 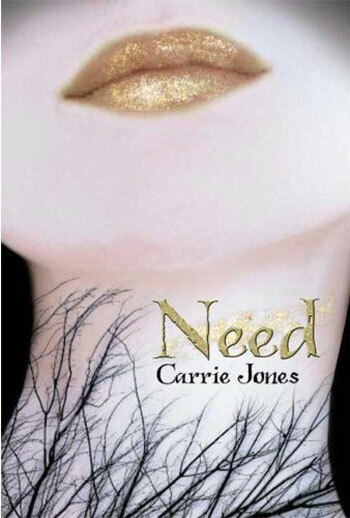 I am Cari from Cari's Book Blogs and we decided that we would talk about our two favorite things, our favorite boys from YA and to give you swag, but more on that later. For now let's talk boys! Cynthia: Ok well Sam of course is emo good guy and I luvs him, but I'm kind of digging bad boy Cole and all his lack of clothing in Linger. Sam is the kind of guy that likes to sing to you and make paper cranes for you. Cari: Oh those paper cranes and what is hotter than a musician who has a good heart. I hear those are harder to find than a boy who goes all wolfy. Cari: Seth had a bit of a bad boy streak in him but kind of Emo and hello he was willing to get all FEY to be with Ash. Cynthia: oh yeah Seth,,, mmmmh.. I love him but Keenan won me over. Cari: GASP I'm sorry I don't think I heard you correctly! Cari: OMG YOU WENT THERE! You know I'm not speaking to Patch at the moment! Cynthia: hahaha,,, I had too. I love Patch! Cari: Depends Patch from Hush, Hush I loved! 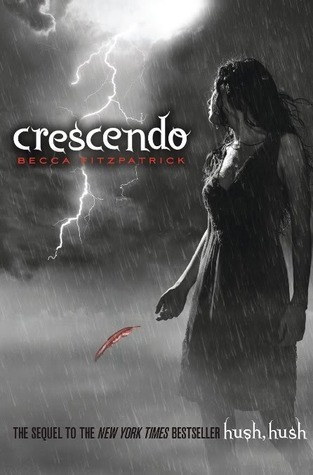 Patch is all bad boy hotness but Patch from Crescendo I can't even go there! PATCH YOU BROKE MY HEART! Cynthia: I think Patch, Ash and Jace are under bad boys. They can be kind of jerky sometimes and hide their emotions so they won't get hurt but will redeem themselves eventually. Cari: You did not just put Patch in the same category with ubber hot Jace and Ash! Patch is more Ren from Nightshade than my two loves!!!! Cynthia: hehe, just go with Patch from Hush Hush, I'm sure he'll win you over in Silence. Remember you loved him in Hush, Hush. Bad boys can be jerky sometimes that's why they're bad boys, but they're irresistible and win you over with their snarkiness. Cari: I don't know if I'll be talking to Patch in Silence. You have more faith in Patches than I do. Cynthia: I do!!! I'm sure he'll redeem himself and win you over again. Cari: Why is it that Fey make the best bad boys and no one does it better than Ash, the Winter Prince. Cynthia: Yes, they do have the best bad boys. I love Ash soooo much!!! He's hot, has been emotionally damaged so he has a reason to guard his feelings and not getting to close to anyone. Cari: I mean first he tried to kill her, then he got to know her and loved her and then he walked away! I wasn't sure about the series but I can say I was always sure about Ash! Cynthia: Yeah but he was usually trying to protect her by walking away and he did end up leaving faerie for her. Cari: It's not his fault he wanted to walk away he lost so much and it's not like he grew up a happy home. You forget him mom is mommy dearest. Cynthia: I know that's why I love him even more, he sacrificed everything for Meghan and swore his loyalty to her. Cari: Can I just say if you look up hotness and bad boy in the dictionary you will find Jace. Cynthia: He's got everything! I love his snarky attitude and how he just makes me smile almost every time he speaks. Cari: Ok I love Jace and I'll Team Jace but he did hurt me when Clary walked in and saw him with Aline and her shirt was all open. Cynthia: Yes, I was just thinking of that.. I was torn too..it's just such a difficult relationship, they've gone through so much. 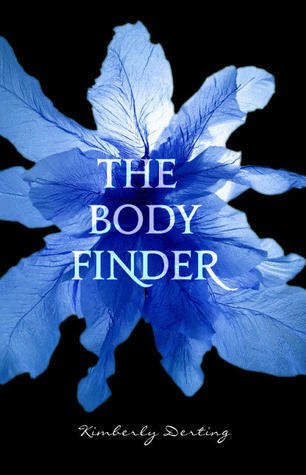 Cari: So are you worried about where Jace and Clary's relationship will go in City of Fallen Angels? Cynthia: Yes, I am.. just concern that they will go through some heartache again. That something bad will happen that will damage their relationship a little. I'm not worried about Simon anymore being in the way but something else coming along. Cari: I think we could go on forever about the super hot bad boys in books! Cynthia: aaaaaaaaagggggghhh! How could I forget! Cari: I can help with that because James if forgettable next to Luke who I LOVE!!!! Cynthia: Whatever!!!! I love James... Luke is gone and will never return! Cari: Break my heart why don't you! Cynthia: James was the best friend and the underdog too,, I love him. The best friend always gets left out, he sacrifices himself for the girl but hardly ever does he get her in the end. Cynthia: He's kind of a good guy, best friend type. he loves books and poetry.. he loves WORDS!!!! I would love to have him as a best friend. He's deep. Cari: I would totally date Dash! 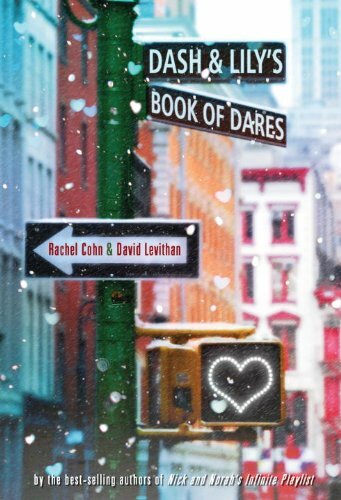 I love his snarky ways and a boy who loves books is a dream come true! Cari: Well to start St. Clair had a girlfriend for most of the time but would rather hang out with Anna who he should have been with since the beginning. I don't know where to put him. He does have the hot British thing going and he's very charismatic! Cynthia: He's a good guy I think maybe he is the best friend mix. He was charming and a good guy, just perfect, a little bit of both. Cari: Well if we are talking Best Friend/Good Guy we can't leave the subject without talking Jay and or Peeta! I mean Peeta bakes cupcakes for crying out loud and he wants to marry her!!!! Cynthia: Also Jay has always been there for Violet, I love them both. They're definitely good guys/best friend and Peeta went through all that torture,,, aghh! You've read about some of our favorite boys in YA that easily fit into the Best Friend, Good Guy, Bad Boy, Emo, and Underdog category but what we want to know is who is your favorite and do you feel the same way we do about some of these guys? What kind of guest would we be if we didn't bring you prizes? We would love to give you some swag! We will be choosing 3 winners! make sure to read the rules below. Must provide email or twitter handle so we can notify you. Winners have 48 hours to reply or a new person will be picked! Open to: US/Canadian Residents only. Cynthia, Cari... I can't say thank you enough for the fun and amazing guest post about a favorite subject.. Boys from Books! You both had me more than agreeing with so many of the boys you've mentioned, great fun post - thanks for taking the time to do this for me. 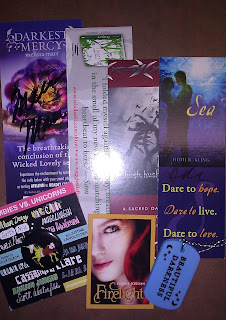 Also, wow... a swag giveaway! Going above and beyond! Thanks girls and good luck to everyone who enters! 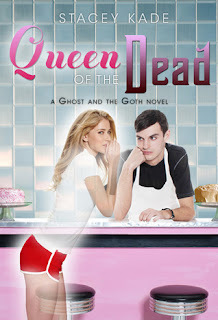 Synopsis: Christina Mandelski's debut novel, about a young teen juggling first love, a cake-decorating business, her dad's reality TV show, and a search for her missing mother. 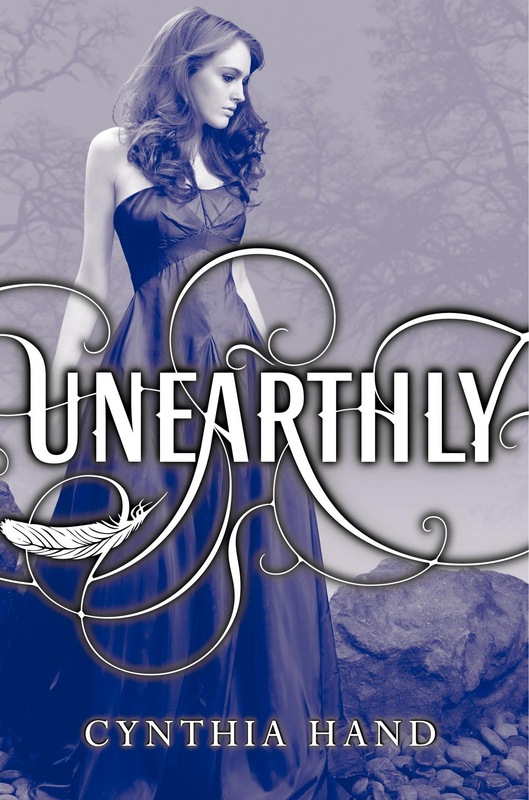 Synopsis: A Suspenseful New Series Featuring Vampires and Forbidden Love. Sophomore Catlyn Youngblood is used to the nomadic existence she and her two older brothers have shared since the death of their parents. When they settle down for good in the sleepy backwoods town of Lost Lake, Florida, Cat thinks they might finally fit in. Instead, they're shunned by the locals. While riding her horse late one night, Cat meets an enigmatic and handsome boy named Jesse Raven. Even more strange than her overpowering attraction to him is Jesse's apparent aversion to the sun. As their attraction intensifies, long-kept secrets come to light. Cat learns that the Ravens are a centuries-old vampire clan . . . and worse still, that she and her brothers are descendents of Abraham Van Helsing, the world-famous vampire hunter. 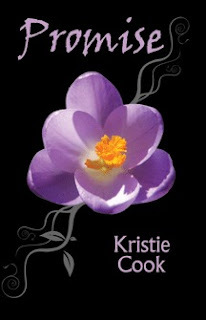 Mortal enemies by blood, the two families do all they can to keep them apart. But Cat and Jesse will risk everything to be together—including death. Again, two very different books for this weeks WoW. 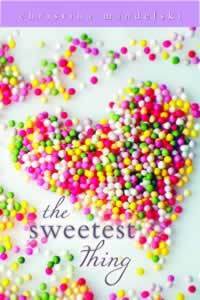 The Sweetest Thing - first love, cake decorating, reality TV show and searching for her missing mother... Sounds great! Can't wait! 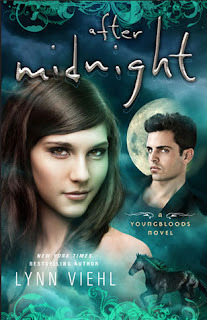 After Midnight... while this isn't a favorite cover, the synopsis does sound like anyone who still loves a good vampire story - like myself - will be excited for this first in a new series. Do either of these sound good to you? A few months ago, while planning the release of my second book, Purpose, Lisa and I were discussing a guest post for this blog and she gave me a list of ideas because I was fresh out. And her list was full of awesomeness. Of course, what else would you expect? If you haven’t noticed…Lisa herself is the epitome of awesome. Back then, we both agreed on a post about Tristan because, well, he’s Tristan. As in yummy. An excellent topic. But I’ve been wanting to do one of her other ideas, with a bit of a twist, and this is the best time to do it. Because her idea was about what authors look for in reviews. Or something like that. Anyway, since Lisa is recovering and we all want her to get well soon – very soon, Lisa! – the timing is perfect for this post. It’s sort of a review of book bloggers…and it’s a good one. This is for you, girl. I hope it lifts your spirits and helps you feel better. I can’t speak for all authors, but for me, I don’t like all reviews, but I love book bloggers. Everyone has their own way to review a book. Some just post a star rating on Goodreads and leave it at that. Some go into great detail about the plot, pretty much summarizing the story so the reader will know what it’s about. Others (like me) might say something quick and simple about loving (or not) the book. These kinds of reviews might be helpful for readers who are scanning ratings and reviews while deciding whether to invest their time in a book. They’re basically reinforcements, supporting what the book bloggers have to say. As an author who checks her reviews on an embarrassingly regular basis (only because I want to thank people for reading, yep, that’s why), I can tell the difference between book bloggers and others. See, book bloggers put a lot of time and effort into their reviews and it’s obvious. They tell us what they like about the book and, sometimes, what they don’t. They might share their feelings about particular characters or plot twists. And if they really enjoy a story and its characters, they’re enthusiastic about spreading the love. Their reviews aren’t just something they throw up on a site or two. They are thoughtful, well-written and meaningful to readers, helping them make a decision about how to spend their precious time. After all, with all the (unpaid) time and effort book bloggers put into their gorgeous blogs and everything that goes with them (hops, contests, giveaways, interviews, etc. ), they’re not going to write crap reviews. And I love this. I love their love of reading and sharing their passion with others. Even if my books get a bad review (which, thankfully, isn’t often), I can appreciate everything the reviewing blogger sacrificed just to read my book and write a thoughtful review about it. Much more than I can appreciate a rating without any review at all. 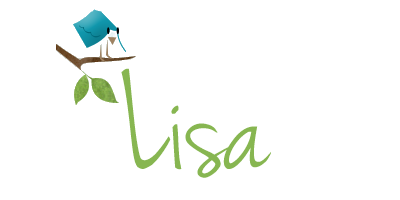 So, thank you, Lisa and all you book bloggers, for all that you do…for readers, authors and literacy as a whole. Your love for reading and books is contagious. Your support of authors is overwhelming. And the connection you bring between reader and author is groundbreaking. It truly is. You’re paving new roads in the publishing industry, whether you realize it or not. When the world is talking about the fall of literacy, the lack of interest in reading and the end of all books, you’re right there in the epicenter of proving them wrong, showing them that not only do people still enjoy a good book, but there’s a whole new way to share that enjoyment. In short…I give you 5 of 5 stars (purple and shiny, of course!). No, wait. 5 of 5 wings, like angel wings. Kristie, thank you again for writing such an amazing guest post. I'm always excited to host you on my blog and you are welcome back anytime!! 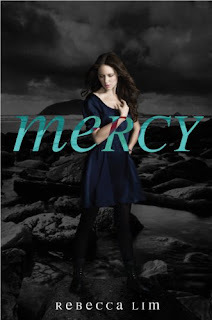 Synopsis: Lost in despair, Alexis teeters on the edge of an abyss, her lifeline of hope fraying into a thin thread. If it snaps, she’ll plunge into complete darkness. With the help of her son and her writing, she’s been able to hold on. Until now. Erratic impulses, disturbing delusions and her own demonic blood threaten her sanity. 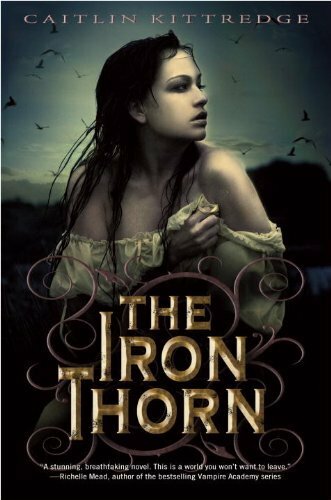 When she’s forced to choose between hanging onto hope or letting go to serve her Amadis purposes, she faces a decision with inconceivable sacrifices. Lisa, thanks for having me at A Life Bound by Books. I've been looking forward to sharing some books with your readers. Hello all! I’m stopping by to give you a taste of some book worlds that really came to life for me. So, without further ado, here are some books that are so atmospheric that they put the reader directly into their setting, feeling the cold, the heat, the winds, or tasting the dampness in the air. These books transport the reader to place that is so lifelike, it’s nearly impossible to see it as just a place in a book. Faeries and weres run around a tiny Maine town bathed in snow in this one. The setting really comes to life during a snowstorm that strands Zara and Nick in a cabin for days. Cold iron and engineworks occupy every inch of this alternate 1950’s Massachusetts and if you’re up for a world that is so unlike our own, check this one out. Clara Gardner’s life in Wyoming goes through a few different seasons and each one is vivid and real; from skiing on the cold mountains and powdery snow to swimming in the fast-moving river. If you want to feel the snowball in your hand or the water lapping at your ankles, then check this one out. This world is very much our own, but the remnants of Danvers State Hospital will freak you out. 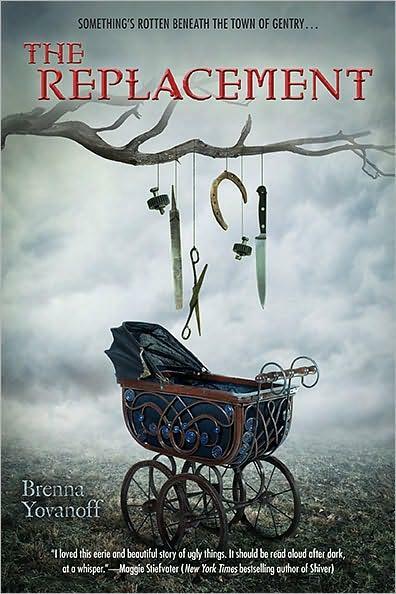 Ghosts, scary stories, and pains of past patients litter the sprawling hospital and will force the reader to hug their blanket and pray for a nightlight. 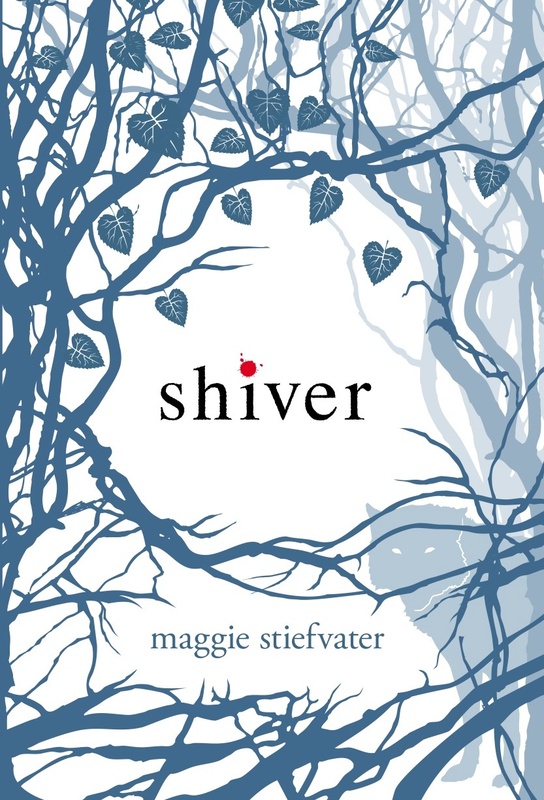 I have never read a book that made me feel the setting more so than Shiver did. 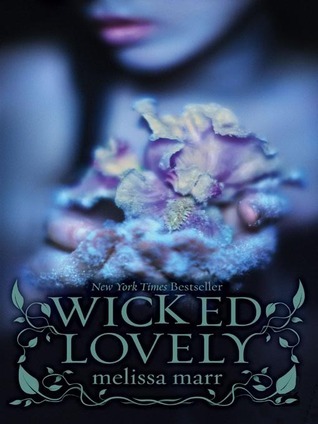 Each turn of the page had the coldness seeping into my skin, freezing me. 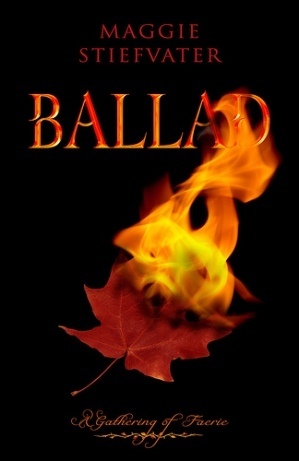 This the perfect book for cold winter nights with the wind howling out your window. You know those dark, rainy days when all you want to do is curl up with a good book? The Replacement is the book you should be curling up with. Mackie’s story has a creepy edge to it and the pitter patter of rain on your windows will keep perfect rhythm with the rain in the town of Gentry. 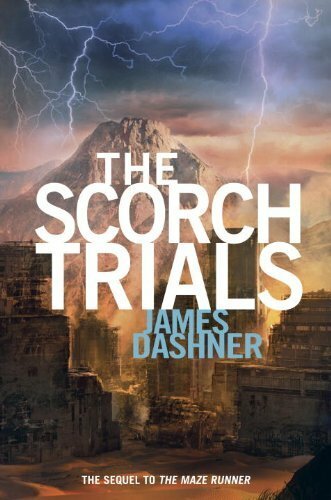 The Scorch Trials is a great read for those hot days when the sun bakes the earth. Tom’s journey across a desert-like landscape leaves the reader thirsting for more from his story, as well as a cold glass of water. 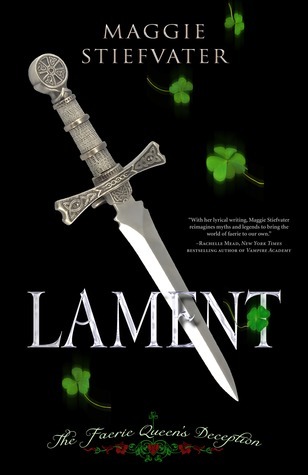 This story transports Jack, as well as the reader, to a world that is in the midst of a war. Monsters that resemble the human beings they once were could be around every building or bush and death lingers in every corner. This story is great for some psychological carnage. Thanks for having me everyone. I hope you all have the chance to check out some of these books. It was great to have you here for the day Nikki! You've mentioned some amazing titles, some I've read and some I haven't - BUT - have the books and am looking forward to reading. I can't thank you enough for taking the time to work on this post for me. Thank you, Thank you Thank YOU! *Links within this post take you to Goodreads.